When eating according to a specific diet you sometimes become low on certain vitamins and other important nutritions. This page will try to cover the most important vitamin suppliments that you might be lacking when eating according to a keto diet. Remember that it is recommended to have a balanced intake of food and get your major intake of vitamins from food instead of suppliments. It is recommended that no matter what diet you are on you should always try to have some vitamin suppliments to ensure you do not lack any vitamins. With most vitamins it is not dangerous to eat these multi-vitamin tablets. 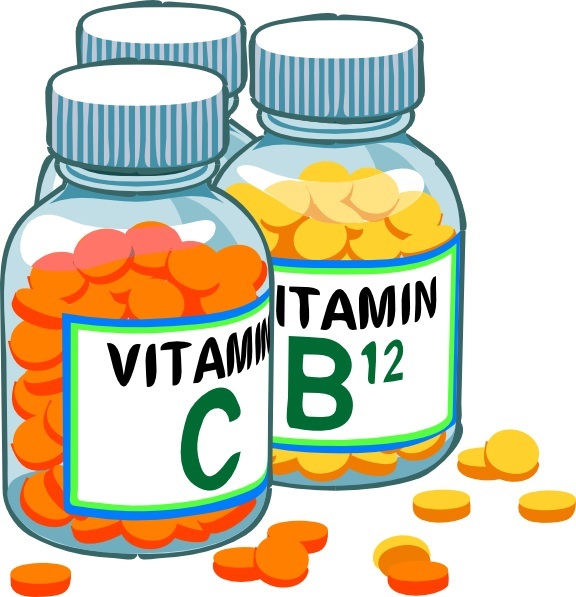 However one should not over consume vitamin suppliments since a too high dose of certain vitamins might cause health problems. If you are unsure if you should eat a certain suppliment or not always consult your doctor first. Below we will list the most important vitamin suppliments that we recommend for people on a keto diet. For most adults, usually an addition of 2000-4000 E of vitamin D on a daily basis is advisable. If you regularly stay in the sun every day about 15 minutes with bare skin it is not needed to add on additional Vitamin D suppliment. For children it is more suitable to add on 1000 E daily. It is known that there is a lack of Vitamin D with most people who do not live in countries where you daily get a lot of exposure to the sun. A lack of D vitamin can be a significant risk factor for common forms of cancer and diabetes, and cardiovascular, autoimmune and neuropsychiatric diseases. The limit for this effect is higher than the threshold for major vitamin D deficiency. Expanded prevention and treatment of a lack of D Vitamin could improve public health in general. If you do not already add additional Vitamin D suppliment we recommend you to start doing so. In countries where people do not eat enough fish or just eat white fish such as cod and flatfish, which contains low levels of omega 3 fat acids you often need to add additional Omega 3 to your diet. Fish that usually contains a high amount of Omega 3 is the fatty fish such as herring, salmon and mackerel. A simple rule is that 100 grams of salmon contains about 1 gram of omega 3 fat acids. This however is only true for wild salmon. Farmed salmon contain significantly less omega 3 fat acids and is heavily dependent on the food the fish is fed when growing up. Humans need about 1 gram omega 3 fat acids daily. To get the recommended amount of omega 3 fat acids you need to eat oily fish 3-4 times a week. If you do not eat fat fish this often you most likely have a lack of omega 3 in your body. There is also plenty of omega 3 in meat or dairy products from grass eating animals. Modern farming is usually done with cereal or other substitutes which gives a lack of omega 3. Modern industry food often contain hardly any omega 3. For those who do not regularly eat oily fish or grass-operated meat supplementation of Omega 3 may be advisable. The coated form of Omega 3 is best as it protects the fat from becoming rancid. Suitable dose may be 1 gram daily of long-chained omega 3 fats (EPA + DHA). This corresponds to about 3 one gram capsules of regular fish oil, which also contains other fat. More (eg double dose) may be good for balancing a high omega 6 intake or allergies. There are also studies that show that by just eating one gram of DHA per day you can improve memory and reaction times. Also by having one gram of DHA every day the brain seems to work better. Omega 3 is an important component in the brain and in the western diets people are usually low in omega 3 which would mean by adding a suppliment of omega 3 we would actually become smarter. One Response to "Vitamin suppliments when on keto diet"
Nice post. I’d been checking constantly this particular site and i am amazed! Very beneficial facts specially the final segment 🙂 My spouse and i tackle similarly info significantly. I used to be trying to find this specific information for years. Thank you and also all the best ..